Patterson Belknap received The Burton Award on Monday, May 23rd, in Washington, DC for Distinguished Legal Writing. The Burton Award recognizes 30 of the nation’s 1,000 largest law firms each year for excellence in legal writing. 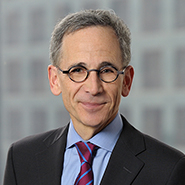 Patterson’s award was for an article published by Bloomberg BNA entitled “The Long and Wyndham Road: A Settlement in Wyndham and Curve Ball in LabMD Signals Storm Warnings for the FTC’s 2016 Data Security Initiatives,” and was written by Partner, Craig Newman. U.S. Supreme Court Justices Ruth Bader Ginsburg and Stephen Breyer were keynote speakers at the event.